When people talk about the mass popularity of the singer icon Himesh Reshamimiya, they attribute it to his nasal singing, that when you probe a little further in to how his career took a magical turn to success, nothing can be far from the truth. Himesh is a live example of the word “opportunist”. He was showcased in the show “Sa Re Ga Ma Pa.”as a mentor and Guru to the fascinating voice of Vineet. In moments of intense emotions, appreciation, encouragement, motivation and upliftment Himesh not only dished out the star in Vineet, but also won the hearts of millions who watched the show. Himesh through his presence really added all the emotional bonding that there was needed to form a connection with the audience. So at the end of the show two names gained mass popularity, the master and the student. From there on the world was waiting with open arms. 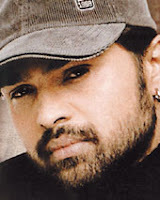 Himesh wasted no time in launching his album and announcing his movie, and made all possible public appearances. He had already built a home in people’s hearts and they followed wherever he went. A lot of stars are launched, but they do not capitalise on their popularity after the show so we have seen people become popular and the disappear. When you are riding high, that is not the time to bask in glory, but to tighten your seat belts, play your cards right and work harder, like Hamish is doing. Hamish is a true example of not taking success for granted but working harder in the face of success. And of course the cap brings in the additional charm and the nasal pitch makes the difference. 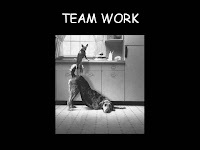 When I talk about team work, people often expect to hear about team work in context of work or sport. Companies call me to do team building workshops for their employees, the objective being greater co-operation and respect at work to meet common targets. Sportsmen and sports organisations call me to do team building workshops towards the objective of uniting people to work in sync towards a common goal. And I believe that there is more to team work than just that. In fact team work is an attitude and way of life. Your team was formed from the day you were born. In fact, from that day on everyone you meet or come in communication with, is a “your” team player in this game called life. When you take the taxi to work, the taxi driver is a team player with you. When he does his work well and with dedication, you reach your workplace in time, safely. Your waiter at the restaurant is a team player with you for the duration of your lunch or dinner. Everyone you meet, in whatever context there may be, is a team player with you. For them to make your interaction enjoyable and productive, all team dynamics of excellence apply. You need to treat all your team players with respect, acknowledgement, encouragement and support. It could be in small gestures such as a smile of acknowledgement, a polite tone in speaking, a verbal appreciation or even support in some cases. I have had the privilege of meeting some great people from different industries. One thing that I have noted in common about them is that they are great team players, on and off work. I have seen them acknowledge the chef for his food at the restaurant. I have seen them speak to the book seller on the street with respect. I have even seen them direct traffic in a jam situation. Because a team player is a team player wherever he goes. It’s not a role; it’s a state of being. I see great teams at play when a person offers his seat to an aged person in a bus. I see outstanding teamwork when a person acknowledges the work of a newspaper delivery boy. I see leadership in the person who initiates a conversation in an elevator with a complete stranger. Your family is your greatest team. To keep your family involved in your mission, gathering their support, earning their respect, and also to encourage their active inputs, sets you up for excitement and love. Your family is the goal keeper, the score keeper of your success, real success. To ensure that success you have to make sure that your family is working towards a common goal. If you see the entire world as your team mates, and treat them like players of a winning team, your professional success is an effortless achievement. Treat every moment as a game and every next player as your team mate and watch the excitement take over your life. Our country needs to see more leadership, more heads rising, more people stepping forward taking creative initiatives. We need more communities in leadership. We need young blood stepping forward to contribute. We are on a mission, a hunt for the leaders our country needs. I can see that millions of potential leaders exist, and are in waiting to stir up a cause. Here is your chance, to emerge, to claim your position, to make a difference that you have always dreamed of creating. If your personality fits the bill and if you have a mission up your sleeve, do something about it now. India needs urgently, young, dynamic and enthusiastic leaders. You must have an incredibly positive outlook towards life and must be a believer in all that is good. You must have a vision for your life and also for your country. You must have clear intentions and sincerity at heart. You must have a burning dedication to serve and the courage to lead from the front, and by example. You must be passionate about building a better tomorrow by making concrete contributions today. You must be willing to embrace change and evolve through an attitude of learning and humility. You must be an ambassador of love and peace in thought word and action. If you are a person who has respect for all and would not hold judgement or resentment towards all that is not good, and have enough love in your heart to make the shift from what is not wanted to what is most desired, find a way to express it. In small ways, in big ways but express it. Ours is a mission to lead our people, our country towards the glorified future it so well deserves. Our country stands for peace, for non violence and prosperity and spirituality. It is now time for us to do our country proud. It is now time for leadership. Heena Said:"I fear losing hope or more precisely being negative at one point of time in my life because i have often stood bold and positive in every crisis and many times journey of postivilty was really tough but i dont want to change my outlook come what may." I think what you do is a very courageous stand: Not giving in to negativity and standing tall. I know it takes a lot of inner strength to support you in your position in times of crisis and negativity. This fear of losing hope comes out of suppressed emotions. Maybe at the time you composed yourself or forced yourself to be positive and strong was also the time you failed to release your own emotions of anger or disagreement. So you are afraid that one day you may explode because all the feelings have collected and piled up. A gratitude journal is a journal or a diary where you write atleaset 5 things you are grateful for before you sleep. Its an amazing way to end your day, with REAL TIME positivity. So in this exercise you not only have to look at the positive side of things and people but also be genuinely grateful for that. Gratitude is the enemy of negativity. They cannot exist together. When you do this exercise on a daily basis you will feel a sense of relief and as light as a feather and you will never have this gnawing feeling of losing hope of standing tall, in the honor that you are holding with your amazing attitude. Suraj Said: know i am very good at selling & negotiating, also i am aware that i can conduct a training (Which i have done in past) but i limit myself to selling. I hope now i am bit clear. Please advice. I will explain this with a personal example. My core business is training and I am very good at it. I have been running my company and my business since the last 11 years. I am also a very creative person and I love to pursue so many areas that interest me. What i have come to understand is that to be rich ( that is why we all work in the first place ) there has to be focus on the area of work, and once money is not the issue, one can pursue other areas that fancy us. So after moving my business to a level of stability I have now ventured into writing. This blog is such an outcome, my newspaper articles and my online features are my writing assignments. They dont put money in my bank right now, and i can afford to write for free because I have a stable source of income. If i did not have a stable source of income and i would have started writing along with my work, then i would remain to struggle in both due to lack of focus on either. If you are good at selling and negotiating, strengthen that skill. Sell your way to success and riches, and once you have done that, train other people to do too :O) That would be a trainer and teacher by example, and that is the fastest way to success. Just @sk Priya: Rejected ???? Anuj Said: I am so positive and always know I'll do what I want to do in life. But recently, what I thought, I dint get and I was rejected for something at work. My morale went really low. Although I am looking at it positively and trying to think all the good things it could do, something inside me is making me feel a little less confident. I am starting to doubt things now.. I know this is not right but somehow something inside me has changed. How do I get rid of this small negative thinking? Rejection is one of the biggest moral stealers for many people. And it doesnt have to be that way. We must know that everyone is not the same and everyone does not have the same preferences. I love red and that may be a color you despise. And purple may be for you, but i cant stand purple. Does that mean i wont like you ? Or you wont like me ? Imagine if i were to base my judgement about people on the grounds of similar liking, i would be leading a lonely life. There are many people who do not believe in trainings and feel that attending workshops are a waste of time, and i am ok with that. Everyone is entitled to their opinion. And they have a right to not like me, my work or my preference. Now are you one of those, who has harshly judged or rejected another in a similar way that you feel ? By giving a harsh comment about the way people behave or look or even a contrary opinion on someone's work, we act in the same way. I remember my friend was upset because his boss critised his work and called it "ridiculous stuff" and just a day earlier my friend was critising a movie "Jhoom Barabar Jhoom" and called it "ridiculous stuff". My question is why was it ok for him to critice other people's work and not accept it with grace when it comes back to him ? Why the hard feelings ? He sure felt nothing while saying the unkind words. And i guess critique is so crucial for one's improvement. If no one is pushing me, how do i get better ? I dont get better when people appreciate, I feel good when appreciate. I look for improvement when people criticise. I always ask for critique and feedback. I would love to see the loose spots that miss my eye. Rejection is a good thing. It means being tolerant and being humble enough to seeing anothers point of view and acknowledging it with grace. Rejection can be a good feedback mechanism. Use it to excel. Use it to reflect and re-think and re-act. We all want to do so many things. Upgrade our lifetstyle, earn more money, start a profitable business venture, find our soul mate, travel around the world and so many more things. And sometimes looking at our current situation is very disheartening. It makes the future look kind of impossible and we keep stressing ourselves with the unshakeable statement: "I dont know what to do !" Others appreciate your talent and even give you ideas but somehow you feel stuck with : "I dont know what to do !" "I dont know where to start !" "I dont know how to start !" If you host such feelings, then i understand you, because i found myself in the same stuck place and trust me, i didnt move for years, until i asked someone for a fresh perspective on my issues. You know sometimes we are so stuck in our own world that even though the solutions exist, either we cant see them, or we cant make sense out of them. At this point it takes someone out of your stuck world to see your problem and point out the solution to you. And its perfectly ok to ask for help. It doesnt make you small, it only makes you bigger. I have had the fortunate priviledge of having so many people helping me to the position i have reached today. It wasnt a lonely ride, i had much company and help. As a paying forward to all those people who found the time and heart to encourage, guide and help me, I am offering my time to you. If you have any area of your life that you are stuck in, write in, comment in or email me on mail@priya-kumar.com. I may not give you a solution, but i sure can give you a different perspective. "Whats The Single Most Important Question You Have About Enhancing Your Career, Dealing With People Effectively, Upgrading Your Lifestyle, Nurturing Relationships, Making Work Fun or Increasing Your Chances Of Making it Big ?" Directions: Just comment or write to me on mail@priya-kumar.com with your question and I will make sure that I send in a personalised response to you. Stan ASKed: I am doing a job in a multi national company and I want to add another source of income, How do i do that without doing injustice to my job ? Barkha ASKed: I am expected to stay long hours in office. I am stressed and cranky. I can see I have lost all enthusiasm and creativity. I don't even like myself anymore. Ali ASKed: I have no friends at work ! Does that really matter ? Suraj ASKed: I have not done my MBA nor any post graduation. I am wondering if I will ever get the opportunity to rise to the level that my MBA friends are at ! Natasha ASKed: I do translations for a channel and I work from home. It is very convenient but somehow I don't feel the satisfaction. How can I change that ? Lisa ASKed: My salary is way too low in comparison with my lifestyle. I have no savings at the end of the month. How do I match my income and my standard of living ? How do i upgrade my pay packet ? Be as specific as possible - There are no stupid questions. Looking forward to adding value to your life ! We all have set our dreams in place. Whatever it is that you want, I am sure that you are pretty clear about it now. I want to own a Red BMW convertible. Thats the final destination, but there has to be a vehicle that will take me there. 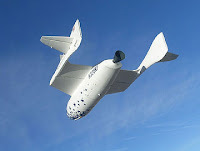 The vehicle is a medium of income or opportunities that will transport you to your dreams. 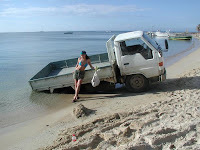 The vehicle can be your job, your business, your talent, your rich dad ;O) ! It is via your vehicle that you reach your dreams. Does your current vehicle have the potential to take you towards your dreams faster and easier ? Identify what it is that you do, what is the potential of greatness in it and whether you are willing to explore it ? I was doing a show with CNBC and the candidate who i was helping in a corporate makeover is an IT guy and can provide any level of IT solutions. I personally think that his line of business or vehicle has great potential for greatness. There are 19 year old millionaires in the IT field, the owner of Facebook is such an example. The real question is : Is he willing to explore the potential ? That will require a great deal of work and focus. But before i talk about that, its identifying the possibilities and limitless potentials your vehicle holds. Only then you will be excited about acting on it. The 30 day countdown is a process where you will have to chuck your routine way of thinking and working and you will have to accept the new. After all for you to be a grand success, nothing outside of you will change, it is what is inside that will change. The world doesnt need to change for you to be great, you need to. For that you need to change the way you look at the world, you will have to find new meanings for the same things and situations and most importantly you will have to try out new approaches and ways of doing things. Here is your task for day 6: Do something different. Anything !! Anything at all. It could be taking a new route to work. It could be writing with your left hand all day. It could be not spending a single rupee from your pocket. It could be skipping a meal. It just must be something you have never done before. 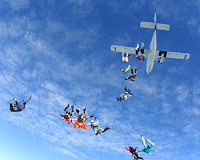 The idea is that you need to give yourself a "first time" experience at something, and notice how that makes you feel. Research has shown that when people move out of their routine way of thinking and operating, they open doors to their creative genius. Genius after all is a mind that thinks out of the box, that dares to explore the new and that thrives in the thrill of adventure. So go ahead and do something today that you have never done in your whole life !! Prepare your mind to embrace the new, your dreams sure will be a new experience and you better get used to that. And do post your comment on it. I would love to be a part of your excitement. I have seen a lot of corporates invest fortunes in building a mission statement for their organisation. 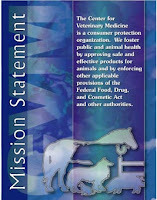 A mission statement is special asssignment that a person or a group of persons takes up. Everyone does work in their own respective fields. Working on an everyday routine or task is very different from working on a mission. Making a mission statement is like setting your lifes purpose. This lifes purpose then becomes a driving force in your life. For example, my work is delivering workshops to people in the areas of Firewalk Seminars, Team Building and Science of Achievement. My work is to conduct workshops. My Mission is to "Make People's Lives Better". The mission drives the direction of the work and adds value to my efforts. So i am not just doing workshops, i am also taking up the responsibility of making people's lives better. If i had no mission, i would just go do my work and come back home. But having a mission brings me greater satisfaction and joy. Whatever it is that you have chosen to achieve in the next 30 days, if you can do it with passion and are satisfied and joyous at the end of each day of work, it would certainly make your life and your sacrifice worth the effort. So go ahead and lay the foundation of love and joy in your work. Make a mission statement today. And i would love to know from you what it is !! Day 4: What If ? that you desire and you have also made your vision board. pleasure and away from pain. that itself will push you and drive you to deliver your best. Several years ago, I made a vision board. This was when i had just started out with trainings. I had stuck on it my picture and words such as "Miss Popularity" "Youngest Millionaire" and several pictures of my dream car, travelling the world over, flying across countries, holidaying in exotic locations, my book being a best seller.... and so much more. As i sit today and look at my vision board, years later, i have achieved almost everything that i stuck on it, with shocking ease. Every great structure has a blue print, whether it is an architectural monument or the layout of an organisation or the design of a new car. They all have a blue print, or a sketch of how it would look when it manifests. No great empire or building was built with the picture in the mind. It was always drawn and sketched. What i would like you to do today is to make a vision board. 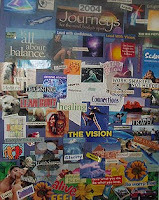 A vision board, simply put is a collage of pictures of your dreams. Go ahead and buy a bunch of used magazines and as your browse through them you will find the exact pictures of all your hearts desire. Pick them out and stick them out on a nice poster paper. Once you have this collage ready, hang it on the wall of your room. Visualisation is a powerful process. The process of laying your eyes on your dreams everyday, helps in creating certainty and belief in it. The more certain you are about your goal, the faster you would move towards it. The Warm Up: The power of warm up is never to be underestimated. Every morning, before you start off with whatever you do, you must listen to your power songs. Music influences our physiology. It affects our emotions and it also directs our actions. Music influences our thoughts and the images that we hold in our minds. So every morning for the next 30 days listen to your power songs. Your success will depend upon the extent that you are able to keep your thoughts and emotions in peak state. Today having done that, whenever you find some quiet time, reflect upon this: "What do i want to achieve in the next 30 days ? What do i really want ?" And write this down. Just knowing it or reflecting upon it is not enough. Write it down. And when you write it down, write only the outcome as you see it in your mind. For example, if i want to own a red BMW Z4, I will write: "I am so happy that i finally own my dream car. When i drive it on the roads of Mumbai, i feel a joy in my heart that matches my achievement and i feel extremely proud....."
Just writing that i want a red bmw is not enough. It will remain a want forever. You need to take that want and create it as a reality in your mind. Take that car and drive it and write down exactly what you see, and how that makes you feel. The more clear you get about it, the faster it will manifest in your life. 2. Write down what you want, as the final outcome of it happening. My humble apologies. I was in a roller coaster schedule and crazy days. Work is at it's peak and i found myself unable to operate my blog. I was shuttling between workshops, publishing assignments, airports, and editing my book to send it to the publisher. All is settled now. Phew. I have some help now and we leap into the countdown towards creating the life of our dreams. We start from tmw and i hope that you have been making the best of your power album. Lets warm up, trust me the next 30 days are going to take everything you have, to make your dreams a reality. Do you know that even the best sprint runner needs to warm up before the race ! A warm up is a small session of stretching and reaching out which flexes the muscles. It is very necessary for a runner or any sports person to do it before their race or event because other wise the muscles will spasm with the sudden speed when they run the race. Similarly you need to warm up before you run the 30 day marathon towards the life of your dreams. Your warm up is gentle preparation to put your mind and body to be receptive of peak performance and to deliver. The warm up may take in a couple of days to make your mind and body flexible enough to accept and execute new principle so be patient with yourself. Todays warm up exercise is to make a power album. This album is a list of songs that inspire and charge you up. They pump in you energy and get your mind ticking. These are songs or music that put you in a happy mood. I know you have the collection scattered in your ipod and laptop or in half a dozen cds. Put it in one place; in one folder, one cd. So next when you do play it, all 12 or all 18 play without you having to add or forward or change the songs. Music is the one of the most powerful tools for mental warm up and preparation. It is so powerful a tool that every army have their own war song to prepare them to win and to prepare them to die. A power song fills your mind and blocks out any other thought that may have engaged you. It leads you to new visualisation or thoughts. When i listen to the song "You're the voice" no matter what my original mood was, once the song plays, i am in a different world. In 4 minutes i am in a bright mood and powerful state of mind. As the song plays i can actually visualise myself as an agent of change who is making a difference in world. I feel phenomenal ! Success is so simple, that some people feel that we must do complicated things to be successful. Just the opposite is true. You will be the beneficiary and evidence of it 30 days from now. Please do write in your power songs ( every one could add and share a few ). The day you make the decision to be the creator of your own life and your own future, you have joined the league of the 5% of the world's population. These are the people who create the future for the balance 95%. These are also the people who take absolute responsibility for their actions. They are as willing to take the credit as they are to taking the blame. These are problem solvers, they find themselves to be a part of the solution and never the problem. They look for remedies not blame. For you to be an achiever and winner by default, you have to develop the attributes that i mentioned above. Because when you "become" a success minded person, a person who is a cause of events to happen, you will have anything you desire and more. Change is a painful process, so the next 30 days are not going to be easy but they sure will be fun. And your greatest reward will be not what you achieve as a result of this change, but who you become as an outcome of it. May success be ours ! This is the best time to ever be alive as compared to the entire history of mankind. We can have anything we want. Really anything. We live in the era of possibilities. Today you can have all that you have ever dreamt of and more. And its not only fast its also easy. You dont have to slog for 10 years to see results of your efforts, you can see it in 10 months, 10 weeks and sometimes even 10 days. The question is that do you know what you want ? If the answer is yes, then the next question is, are you committed enough to learning and growing personally to be able to achieve that what you want ? Desire and committement are two necessary elements for success. You must have the desire and also the commitment to do whatever it takes to achieve it. Often it takes for you to learn, to grow and to develop the attitude of an achiever. If you know what you want and are willing to settle for nothing less, then the next 30 days are just for you. Everyday i will post a tip that comes from my course, The Science of Achievement, which will help you in reaching closer to your goals, at a pace so fast you will be amazed. So log on everyday to the One Minute Coach and help yourself design and live the life of your dreams.